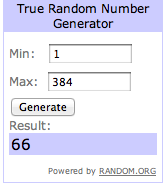 The Glamourtini: Feet for a Queen shoe giveaway winner! First of all, thank you so much guys for joining my giveaway! Thanks for the support and words of encouragement. Hope you enjoy reading my blog and be sure to watch out for updates! I have another giveaway in store for you! If you haven't yet, you can like my Facebook page, Hey It's Alyssa Yu for my blog updates to appear directly on your newsfeed. You can also follow me on Google friend connect or Bloglovin' (both on my left sidebar). Congratulations Tammy for winning a pair of shoes from Feet for a Queen! Most of all, thank you so much Kristel of Feet for a Queen for sponsoring this giveaway. Make sure to drop by Feet for a Queen's booth during the I'm Shoe in Love Bazaar in NBC Tent this July 30!